Home > Staff > Heidi Hausman, M.S. Heidi joined Conservation Biology Institute in December of 2017. 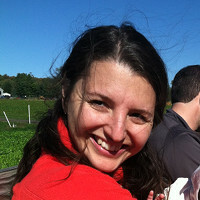 Heidi has a Masters of Environmental Management with a certificate in GIS from Duke University and a B.A. in Environmental Studies from Brown University. She worked for 7 years at the InterAmerican Development Bank in the Environmental and Social Safeguard Unit as their GIS analyst screening bank projects for environmental and social issues. She is also experienced in remote sensing and spent two years working as a quality control analyst on a global land cover change project. Her interest in international development and the environment started at a very early age. She grew up the child of two USAID officers and spent much of her youth in Niger and Morocco. Travel has always been a passion and she even spent two seasons working as science support in Antarctica. Heidi recently moved to Corvallis with her husband, Bob, and their family. In her free time she likes to explore the outdoors, garden, bake and knit. CBI is partnering with the Paulson Institute, the Foreign Economic Cooperation Office of the Ministry of Environmental Protection of China (FECO), and the state of California to provide FECO with an Environmental Risk Screening Tool.